Firstly, is Ma$e still a Pastor or nah? And secondly, this guy does not age whatsoever! Having been away from the music industry for a minute now - Ma$e is back like he never left with his new single ‘Nothing’. Ma$e and singer Eric Bellinger present to us the official music video to ‘Nothing’ starring Basketball Wife (Basketball Wives cast) Malaysia Pargo in the Juwan Lee visual. ‘Nothing’ will appear on Mr. Betha's new album ‘Now We Even’ - his first album out in 10 years. It seems as if we'll be getting a bit of the Ma$e we fell in love with back in '96, on this album. Eyeing an October 2014 release Ma$e's new album will see features from the likes of Rick Ross, Eric Bellinger, Kanye West and Dipset to name a few, no word on if Diddy will feature on or produced any tracks. Ma$e has got a winner on his hands with this Nic-Nac produced joint. 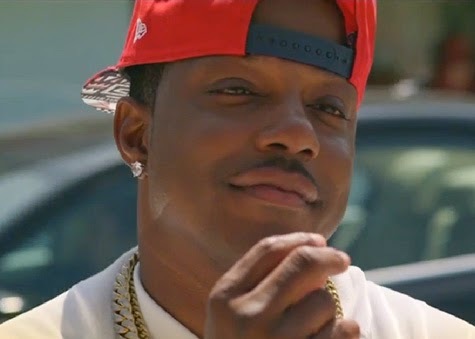 Peep the video to the new summer jam ‘Nothing’ from Ma$e, Eric Bellinger and Malaysia Pargo below.